Across Canada, more than 8,700 people were hospitalized for injuries from slipping on ice in 2016-2017. In Ontario alone, it’s estimated that more than 20,000 patients visit the emergency room every year due to falls on ice or snow. All it takes is one bad fall on ice to cause a disabling injury, chronic pain or a reluctance to go outside in winter for fear of having another fall, especially for seniors. 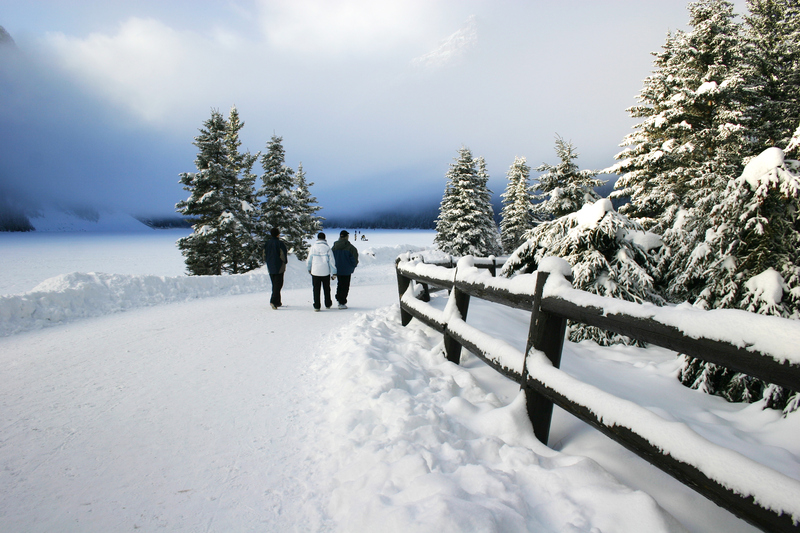 Wearing slip-resistant footwear is one important way to reduce your risk of falling on icy surfaces but not all winter footwear is effective in icy conditions. A team of researchers at the Toronto Rehabilitation Institute-University Health Network recently developed a test to rate footwear in a simulated winter environment. Only 26% of the 96 types of footwear tested in 2017 passed the test on wet and cold ice, and an additional 14% were recommended for either wet or cold ice, but not both. The researchers’ objective is to work with manufacturers to develop footwear with better traction on ice and snow. You can check out the ratings at www.ratemytreads.com. It’s important to note that the ratings apply to new footwear only. Knock snow off your footwear to clear the treads on the sole. Add grips or spikes to footwear to help you walk on hard-packed snow and ice. Make sure you can attach and remove them from your boots. Never wear them indoors – grippers are slippery on indoor flooring. Use a cane, ski poles or walking sticks to help with balance. If using a cane, attach a retractable ice pick to the end but only use it outdoors. If you need more support, use a walker. Wear a hip protector – a lightweight belt or pants with shields to protect your hips against fractures from a fall. Take your time. Don’t rush. Think about your next step. Before you start, make sure your feet are at least a foot apart to provide a base of support. Take a small step and place your whole foot down. Shift your weight slowly to this foot and bring your other foot to meet it. If it feels better to drag your feet or shuffle, that’s okay, but place your whole foot down and keep your base of support about one foot wide. Walk on well-lit paths that have been cleared of ice and snow. Stay fit. Regular exercise can improve your strength and balance and reduce your risk for falls. For seniors who need assistance with activities of daily living, Bayshore caregivers can help. Find a Bayshore Home Health location near you and requests a free in home consultation. © 2018 Bayshore HealthCare All rights reserved. Trademarks appearing are owned by Polar Valley Investments Ltd. and used herein under license. Bayshore's community-based health care services are governed by ISO 9001 quality standards. Bayshore is committed to ensuring the confidentiality and protection of personal information.